Marseille is France's second largest and most ancient city. The Old Port area is filled with restaurants, bars, hotels, office blocks and a daily fish market at the Belgian Quay, giving it a lively and sophisticated air. There are also a number of decent museums, galleries, theatres and shops dotted about the city that are worth visiting. Situated in the south of France, Marseille is the country’s second largest city. Packed full of historical and cultural sights Marseille also has a beautiful coastline and attracts visitors looking for inviting sandy beaches, a sunny climate and a great choice of water sports. 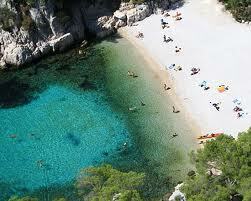 Direct flights to Marseille, France can be found with British Airways. For low cost flights, check out Ryanair or easyJet. A great place to start your sightseeing is around the old port and one of the most popular destinations is the Basilique Notre Dame de la Garde. Built in the19th century this domed basilica has a golden statue of the virgin perched on top of the magnificent bell tower and is full of beautiful mosaics and murals. Situated on Marseille’s highest point you’ll have great views of the city’s skyline and harbour beyond. Another much visited attraction is the Chateau d’If, built in the 16th century on the tiny island of If and famously featuring in Dumas’ book ‘the Count of Monte Cristo’. For art lovers there is no shortage of galleries to visit such as the Cantini Museum with its collection of contemporary art including the works of Le Corbusier, the modern architect who designed Marseille’s famous residents block. Soak up the atmosphere with a walk through the narrow, winding streets of Marseille’s old city, Le Panier quarter or shop for a few bargains at one of the many buzzing open air markets. As well as Marseille’s many cultural attractions take some time out to relax and enjoy the city’s beautiful beaches with a spot of sunbathing and some water sports. For the latest offers on cheap flights and lastminute flights to Marseille, France look no further than our great flights search facility at Directflights.com. The cheapest flights are usually found outside of the busy peak holiday times. Marseille's climate is Mediterranean, with mild, dry winters and warm, humid summers. July and August are the hottest time of year, with temperatures averaging around 78F (25C), while January and February are the coldest, with an average temperature of 51F (10C). 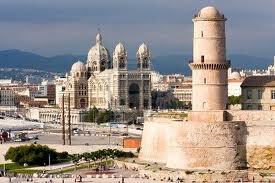 Marseille is also well known for its mistral, a cold, strong wind that occurs mostly in winter and spring.